All Vinyl Play Graded And Guaranteed. 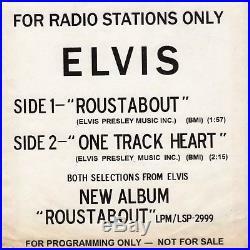 Elvis Presley RCA Victor SP-45-139 1964 PROMO 648-5 This undocumented sleeve has some signs of aging with excellent print. (Picture Sleeve EX) NO RECORD. - Browse my 50's. Be sure to add me to your favorites list. 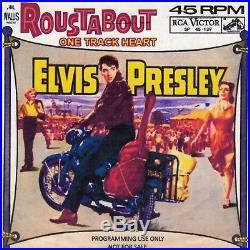 The item "Elvis Presley Roustabout /One Track Heart RCA Victor SP-45-139 1964" is in sale since Thursday, November 02, 2017. This item is in the category "Music\Records".